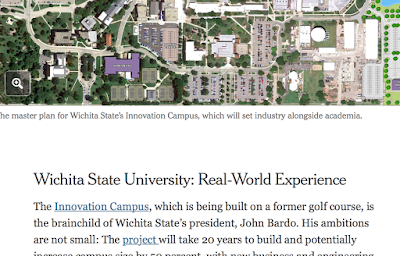 ...for its article in the New York Times about its new "innovation campus." There will be a Westin hotel on the new campus and the Airbus building already has its logo and people are moving in. I believe Wichita State will provide a terrific real world learning environment -- something that is badly needed in today's university world.